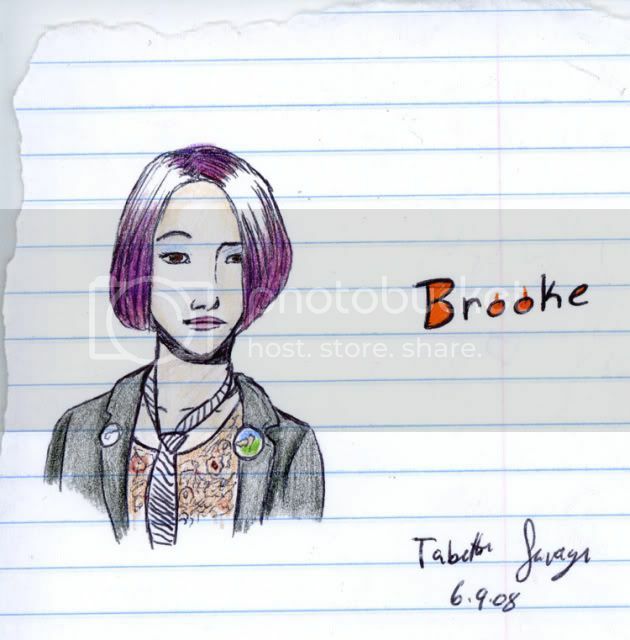 this is a picture i drew of my friend brooke. any comments? if you like my work please write me! It looks fine reject4lyf. Do you enjoy drawing people? One thing tho, get yourself a drawing pad(art grade) as that line paper will start decomposing on you quickly. Wouldn't want to lose your talent to cheap, acid-filled paper. Welcome to the place, by the way. DrayeArt wrote: It looks fine reject4lyf. Do you enjoy drawing people? One thing tho, get yourself a drawing pad(art grade) as that line paper will start decomposing on you quickly. Wouldn't want to lose your talent to cheap, acid-filled paper. this is better! i like your cartoonstyle. do you ever dab in realizum? i dont im a catroonist through and trough. well check out my gallery and see if you like my work. i like this one allot better the the other one with the boy and the girl.
" I walked upon the shadow, only to see my reflection in its ancient gaze." womping_catfish99 wrote: this is better! i like your cartoonstyle. do you ever dab in realizum? i dont im a catroonist through and trough.